Fiat has just launched the 90 HP diesel Grande Punto which also happens to be not the first, not the second but the tenth variant in the Punto line-up in India. Essentially, what they have done is slapped on a Variable Geometry Turbocharger (VGT) to the 1.3 litre diesel engine which has thereby taken upon the responsibility of increasing power from 76 HP to 90. So with already 3 engine options offered in various trims, where exactly is this Punto headed? The enthusiast, it seems, as with this model Fiat is offering customers the choice to pick a rear spoiler, chrome exhaust tip, body decals, aluminium pedals, leather seat covers as well as a branded door sill. 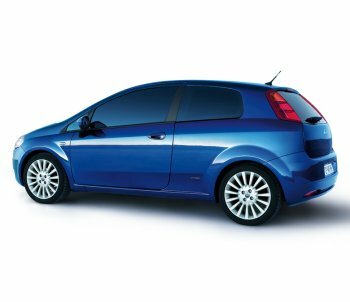 Nonetheless, the Grande Punto 90 HP MULTIJET will be equipped with an integrated CD player along with a USB connection, alloy wheels with the widest tyres in the segment, automatic climate control, Fiat’s Blue & Me system as well as safety features such as Dual Stage Airbags and ABS with EBD (Electronic Brake-Force Distribution). Fiat claims the engine will provide a fuel economy of 20 kmpl while peak torque of 209 Nm kicks in from 2000 rpm. This variant of the Punto will be priced at Rs. 6,79,128 and Rs. 7,01,741 for ex-Delhi and ex-Mumbai respectively.Here is the Press Release:Delhi, 16th July, 2010: With high power comes the true driving experience. Keeping in mind this very thought, Fiat India today unveiled its latest offering in the premium hatchback segment: the Fiat Grande Punto 90HP MULTIJET. Armed with a 1.3 litre Multijet engine, powered by a Variable Geometry Turbocharger, the car will be India’s most powerful diesel hatchback. Already setting the standard with its gorgeous looks and style, the Grande Punto 90 HP MULTIJET is poised to power through the competition and create a new benchmark for diesel hatchbacks in India. The Punto 90 HP MULTIJET’s engine will provide drivers with ‘class leading’ power of 93 PS and torque of 209 NM along with excellent drive dynamics – Ride, Handling, Braking and also superior fuel efficiency of 20km / l. The 1.3 litre MULTIJET engine, a validation of Fiat’s technological prowess, is also the only ‘locally produced’ Variable Geometry Diesel engine in this category.